The 2015 Beaune Clos des Mouches is totally beautiful. It shows gorgeous inner perfume and a weightless, gracious personality. The inner sweetness of the fruit flows nicely to the sensual, radiant fruit. I tasted this visit with Véronique Drouhin, who noted that 2007 “can be excellent for the whites but the quality is certainly variable. The flowering was variable as well, which meant that the véraison was all over the map. Generally speaking, the later the véraison the better the quality, at least if you waited to pick. Those sectors with earlier ripening were prone to have at least some rot though in general, the chardonnay in 2007 was very clean. As to the wines, they remind me of a less even 2004.” For more complete comments about the 2007 vintage chez Drouhin, see Issue 34 or the database. I was impressed with the Drouhin ‘07s as the style of the vintage very much suits the style of the house (which emphasizes elegance and finesse), which by the way was also the case with the ’07 reds." Founded in 1880 by Frédéric’s great-grandfather, the venerable house prides itself on producing Burgundies wines that are reflective of each vineyard site and vintage, and on not tailoring its wines to consumer whims. This makes the négociant, which produces more than 100 different wines, a good barometer of the overall quality of a vintage. 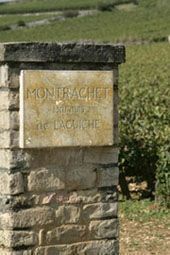 Drouhin produce grands crus, several showed outstanding potential: Bonnes Mares is rich and silky, with rose and cassis aromas, and the mineral Griotte-Chambertin is reserved, showing a firm core of tannins and clean, pure fruit. A potential classic, the Musigny is a terroir-driven, amazingly supple and deep Pinot, with floral perfumes and red berry flavors. "Bright, dark red. Slightly reduced aromas of raspberry and smoky minerality smell energetic and ripe. Wonderfully silky and rich, showing noteworthy depth and concentration to its red and darker fruit and mineral flavors. Finishes spicy, tactile and very long. A superb showing today, but this wine has the stuffing for a slow evolution in bottle."